that is great .. but how thy know their way back ? The laws of physics state that given the mass-to-wingspan ratio of a bumblebee, it is impossible for the creature to fly. 1:12 - bee then proceeds to fly straight into his eye. 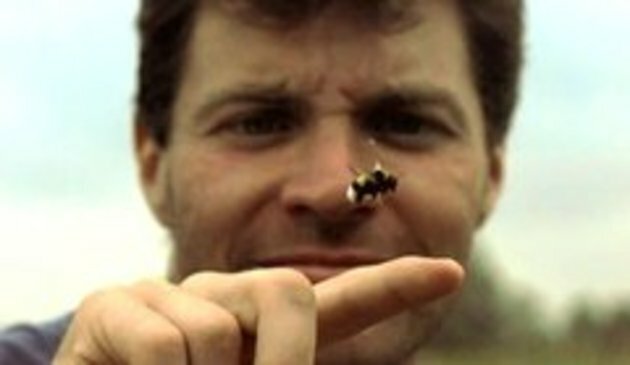 The old myth that "bumblebees shouldn’t be able to fly" was based on calculations using the aerodynamic theory of 1918-19, only 15 years after the Wright brothers made the first powered flight. So, while these early theories suggested that their wings were too small to create sufficient lift, since then scientists have made huge advances in understanding aerodynamics and how different kinds of airflow can generate lift. #2 I guess bumblebees don't study physics. Never knew that was there the expression came from. How do they trucking people ??? They also generate tons of heat internally. The cooling mechanism is very interesting - especially since many proteins denaturate very quickly at high temperatures. Those bumblebees' filament proteins for example can take up to 80°C - because thats what the internal temperature around the wing muscles can become !! Humans can't walk that straight even if they have something to aim with.